The art of lacing we learn in childhood. And not one hour "properti" over the shoes, once and for all-remember the only right sequence of actions. 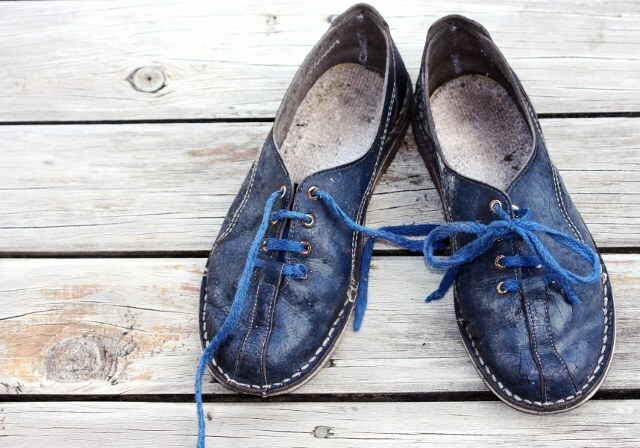 However, variants of lacing ten times more — they can not only firmly fix the foot in the Shoe, but also decorate the shoes, changing a penny to a pair almost every day. Lacing "European" will create a two pattern – classic straight lines on the top layer and zigzag underneath them. Put a boot toe to his. Thread the strap in the first couple of the lower holes from the outside in. The right end of the strap upwards through the second hole to the left, then in the opposite on the right, fourth from the bottom on the left, in the opposite and in the sixth from the inside out. The left end of the skip under the right string and the movement from inside to outside, insert in the third hole on the right, then from outside to inside in the opposite hole on the left. Repeat the same operation by closing the remaining three loops. If you want to have on the Shoe was just perfect straight lines of lacing on top, use the "rectangular" method. The first hole, close the same as in the previous method. Then the right lace insert bottom up the second hole on the right, from the top down – opposite of the left, fourth from the left, fourth from the right and output on the sixth hole to the right. Also add missing parallel to "the strokes". The latest version of lacing will require more care and takes more time. But the result will be a real decoration of your Shoe. Insert the lace in the lower pair of holes, threading the ends from the inside out. Left end down (towards the toe of the Shoe) and insert it under the strip of lace between the holes. Paste it into the second hole on the right (inside out), then lower the end down and slide under the just created line. Then in the same way, insert the lace in the third hole on the left, fourth right, fifth left and the sixth on the right. The second end of the string need to push through the remaining eyelets in the same way, alternately passing it under the previous segment of lace and over it. These methods of lacing are both advantages and disadvantages. The first option is neat, unusual, but at the first stage of the lacing can be confusing. The second has the same advantages, but is only suitable for shoes that have an even number of pairs of holes. The third method gives a very beautiful and strong, but the laces will be difficult evenly to tighten and loosen.